Taiwan tech giant Hon Hai Precision, the world’s largest contract manufacturer for electronics, saw its net profit rise 12.7 percent on-year in 2013, bolstered by demand for Apple’s new products. 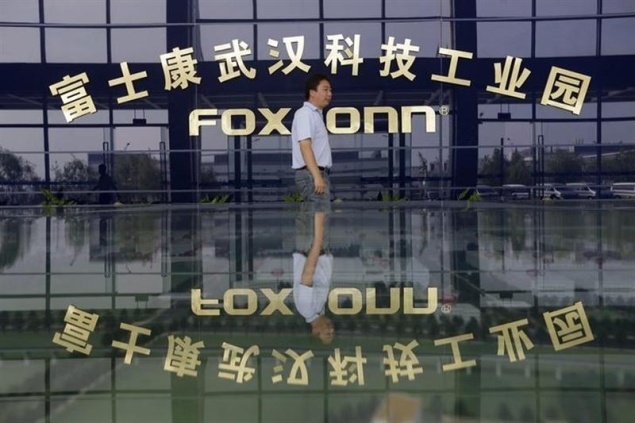 Hon Hai, better-known as Foxconn, is the world’s biggest iPhone and iPad maker and saw its profits rise thanks to the release of the iPhone 5s (Pictures) and iPhone 5c (Pictures) in September 2013. Its net profit last year rose to Tw$106.70 billion ($3.50 billion), compared with Tw$94.76 billion the previous year, it said in a statement released late Friday night. The group’s overall sales hit a record high of Tw$3.95 trillion, up from Tw$3.91 trillion in 2012 and its profits in the three months to December were up 5.6 percent on the same period the previous year. Hon Hai earns more than 40 percent of its revenue from Apple, which said it had sold 51 million iPhones and 26 million iPads during the quarter to December 28, as well as 4.8 million Macs. But despite the profit jump, analysts say Hon Hai’s revenues are likely to slow in the first half of this year until Apple releases its new handset. Japan’s leading Nikkei business daily reported Friday that Apple is likely to launch the new iPhone globally in September, with a higher resolution and bigger screen. The handset, expected to be called the iPhone 6, is set to come in two versions with a 4.7- or 5.5-inch screen, up from the current four-inch panel, the report said, without citing sources.